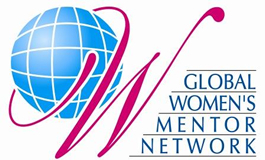 As a collaboration between IUJ Alumni Relations and Career services, IUJ is proud of our Global Women’s Mentor Network. This matches current students with lady alumni in the same career field for advice, guidance, and support. Current students should approach the career services staff or alumni relations staff to ask for a Mentor. The program was officially launched on International Women’s Day, March 8, 2009! IUJ President Sugihara presented the logo to a large group of current women students in the symbolic opening ceremony! A year after the launch of the Women’s Mentor Network came the IUJ Men’s Mentor Program. This program features on professional development of our male students, matching them with alumni in similar professions. For more information, contact gretchen (at) iuj.ac.jp Be apart of our world wide and powerful network of IUJ women! Similar to the Women’s logo, our Men’s Program logo is offering our gentlemen students that uplifting hand helping them stride forward into their future. Notice that the logos are simply the upside-down version of each other. Two similar programs supporting our students. — Please note. This program is exclusively for IUJ Women graduates, women current students, and those applying to IUJ for graduate studies. — Join us! Apply to IUJ today.